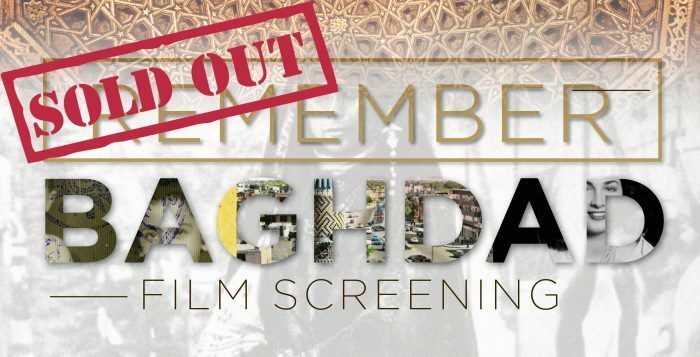 On the hundredth anniversary of the British invasion in 1917, Remember Baghdad is the untold story of Iraq, an unmissable insight into how the country developed through the eyes of the Jews who lived there for 2,600 years until only a generation ago. With vivid home movies and archive news footage, eight characters tell their remarkable stories, of fun that was had, and the fear that followed. We follow them through the creation of Israel and the country’s growing instability and we return with one Iraqi Jew on a journey home, back to Baghdad today. The screening will include a Q&A with contributors David Dangoor and Edwin Shuker. Screening 7:40pm followed by Q&A.